This webcast reviews the Learn component of the OCEG GRC Capability Model v3 (Red Book). The post GRC Capabilities Illustrated Series Part 1: What do We Need to Learn as We Plan for Principled Performance? appeared first on OCEG . 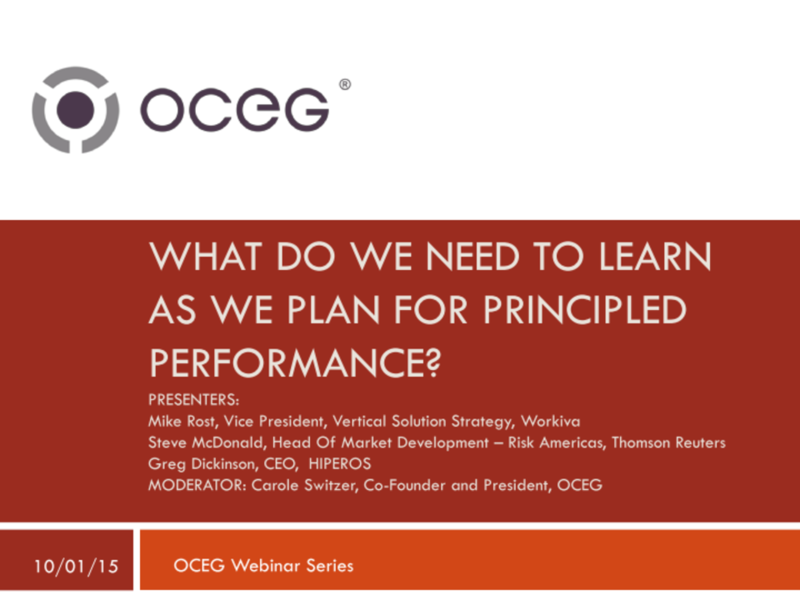 The post GRC Capabilities Illustrated Series Part 1: What do We Need to Learn as We Plan for Principled Performance? appeared first on OCEG. We have emailed instructions to access What do We Need to Learn as We Plan for Principled Performance? Part One of the GRC Capabilities Illustrated Series Slide Deck to . Make sure the email arrives in your inbox: either add "support@oceg.org" as a safe sender to your email platform, or if you use Gmail, drag our email into your Primary tab.